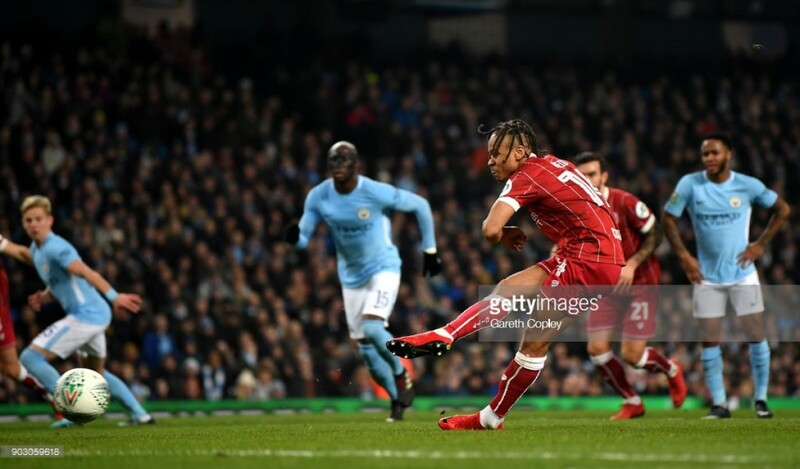 Bristol City star Bobby Reid has joined Premier League newboys Cardiff. Cardiff City have announced that Bobby Reid has joined the Bluebirds, subject to international clearance. A fee though is thought to be in the region of £9 million up-front with £1 million in add-ons according to Bristol Live. After signing his contract at Cardiff City Stadium, Reid told cardiffcityfc.co.uk: “I’m delighted to be here and to be a Premier League player. Reid was also understood by Bristol Live to be in Cardiff yesterday, holding talks with the Welsh club. The 25-year-old scored 19 goals in the Sky Bet Championship last season, contributed seven assists and was named in the EFL team of the year. Derby County and West Bromwich Albion had both been linked with a move for the Bristol-born forward after he was at the heart of the Robins' terrific campaign both in the league and Carabao Cup. The Baggies had been in advanced negotiations over the Englishman but did not want to pay City's asking price and the Rams were waiting for Matej Vydra to be offloaded so they had the cash to sign him but ran out of time. Cardiff boss Neil Warnock spoke about his pleasure in signing the forward that he admitted having been chasing for some time. Warnock added: “I’ve been after Bobby for a while now. I like the lad. “By all accounts, he’s great around the dressing room. He can play in a number of positions and his best is yet to come. "Right move for the club"
Earlier this week Bristol City vice-chairman Jon Lansdown said the Robins would not stand in the way of players leaving if their valuations are met, particularly with Reid having just one year left on his contract. Speaking to BCTV, he explained: “Bobby scored 20 goals last year which was an incredible achievement and there’s an obvious value on that, so it’s not surprising he’s being linked with clubs. The Robins' head coach Lee Johnson is disappointed at losing his star man but understands his decision to seek a new opportunity in the top flight of English football. He told bcfc.co.uk: “I am naturally saddened with Bobby’s departure but he goes with our best wishes. “He has been with the club for 18 years and on a personal level, I am proud of his achievements. He is going to play Premier League football and that’s fantastic for him, he deserves it.